Au Pair of the Year, Alyz, and her host family, the Landises. 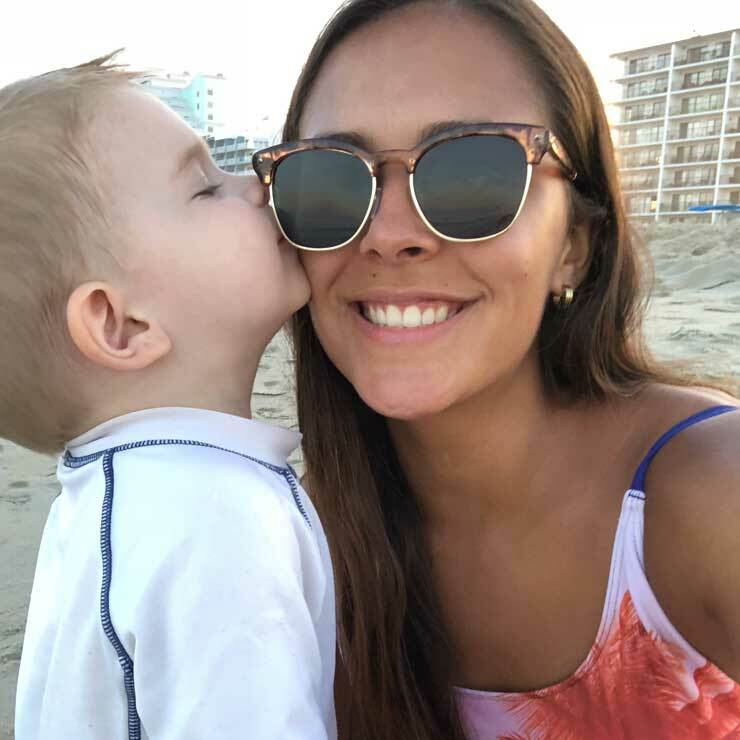 We’re thrilled to announce our 2018 Au Pair of the Year, Alyz Hidalgo Abarca from Costa Rica! 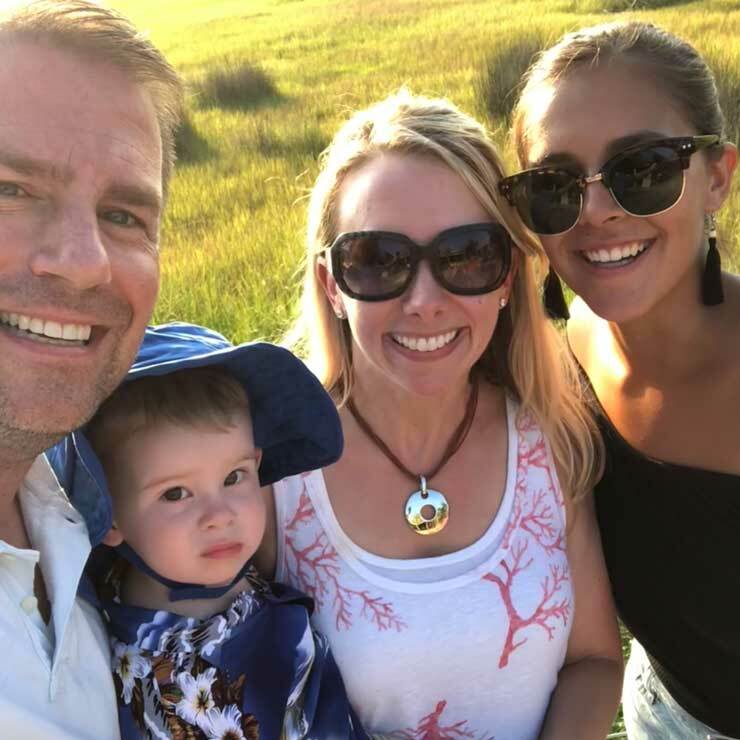 Alyz lives in Arlington, VA with the Landis family where she cares for an adorable baby boy who is almost two-years-old. 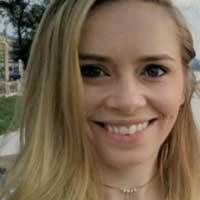 Au pair Alyz has become an invaluable partner to her host parents. Here’s what Alyz’s host mom, Christina, had to say. I nominate Alyz Hidalgo Abarca for the Au Pair of the Year award. I nominate Alyz because of the exceptional way she cared for my infant son, and how she balanced work and life. When I returned to work, I worried about missing important milestones. Alyz sent text and photo messages so I would not miss a moment… the photographer. Capturing special moments between au pair Alyz and her host baby. Alyz was receptive to my decision to breastfeed and provided support and guidance about milk storage. When my son was starting his first foods, Alyz made suggestions for food choices. She even cooked his first meals… the chef. As a first parent, I was figuring things out as I went. As I read books or articles, I introduced new ways to try to get my son to sleep longer and to eat better. Alyz was flexible with changes in routines… the adaptable caregiver. 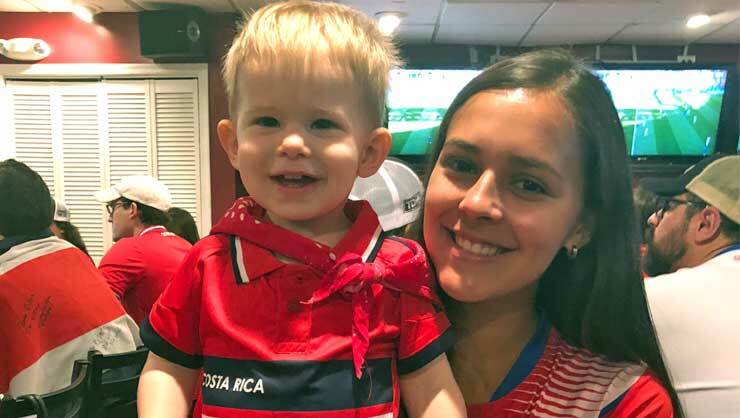 Au pair Alyz and her host baby celebrate Costa Rican culture. Two months after Alyz’s arrival, my father passed away. At the funeral services, Alyz reacted to cues, even ones I didn’t know I was giving, and knew when to step in. It was almost like a dance; she knew when I needed my baby’s cuddles and when I needed time to myself… the mind reader. Alyz volunteered in the community and joined the Medical Reserve Corps. 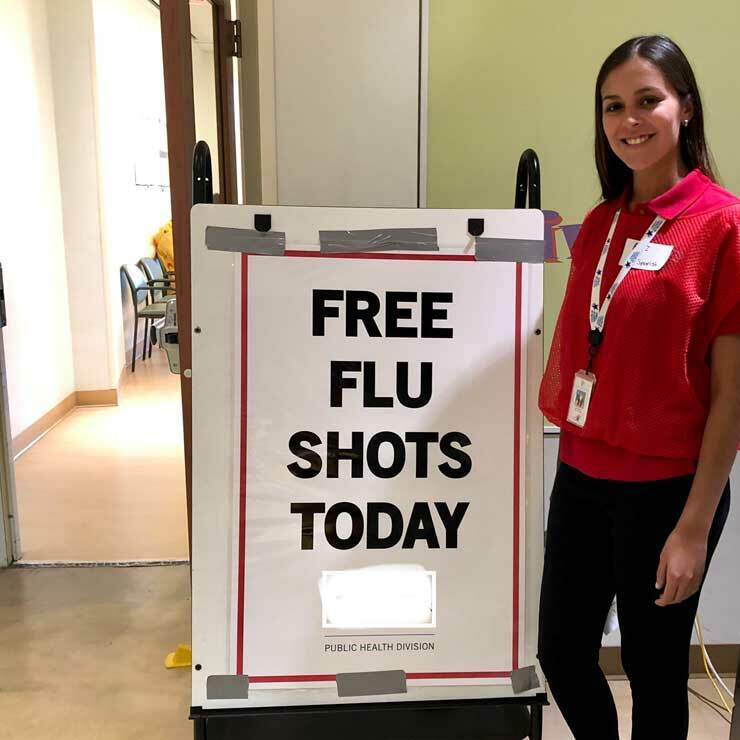 During her time with the Corps, Alyz used her bilingual skills to assist residents with completing forms during a community flu clinic. She also volunteered at the area food bank… the community volunteer. 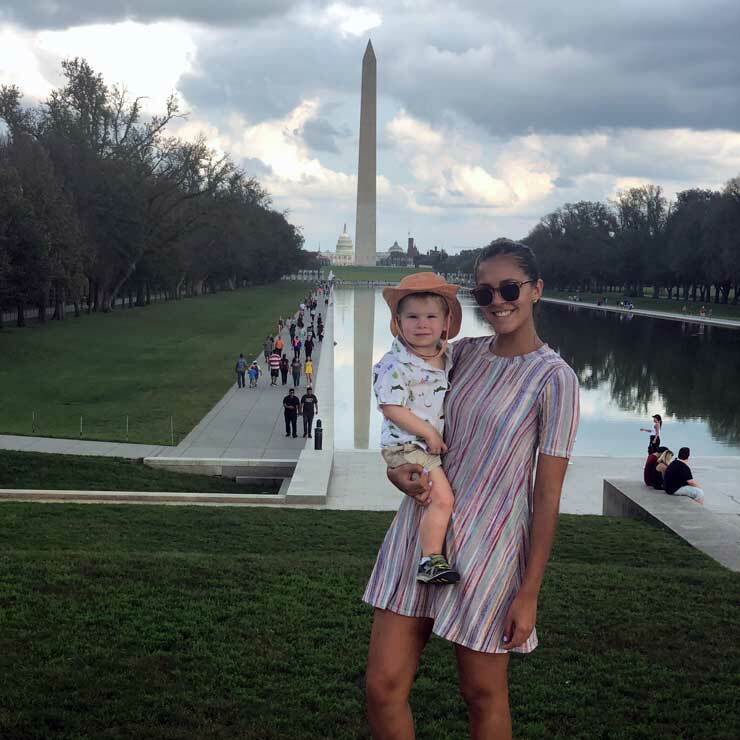 Au pair Alyz takes time to volunteer in her community. Alyz was someone who set goals and that was no different when planning her time off. She created lists of destinations she wanted to visit during her time in the United States. She made great progress in checking off locations, including stepping foot in both the Atlantic and Pacific Oceans… the sightseer. Cultural exchange was not only one way. Alyz sought opportunities for my son and me to interact with her Costa Rican culture beyond sharing recipes for Gallo Pinto and Torta Chilena. When absentee voting for the Costa Rican elections was occurring, we traveled to the embassy in Washington, DC. When Costa Rica was playing in the World Cup, we went to the Costa Rican Association’s watch party. On Costa Rican holidays, Alyz shared the meaning behind the days… the educator. Au pair Alyz and her host baby go on many adventures. In the early days when tracking bottle feeding, wet and dirty diapers, and nap time was necessary… the scheduler. When I could not figure out baby babble… the translator. When my son began to learn his first words, in Spanish and English… the teacher. When teething started… the cuddler. When my son needed to shake off his tears and would need someone willing to do anything to get a laugh… the comic. When the time came that it was no longer necessary to track diapers, sleep time… the reminder to me to let things go and have fun! Congratulations, Alyz! We are so proud of you.